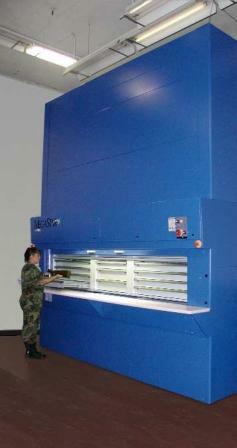 Vertical Carousels are enclosed motorized storage systems with rotating shelves that move up and down along guide tracking, similar to a ferris wheel, to transport stored items. 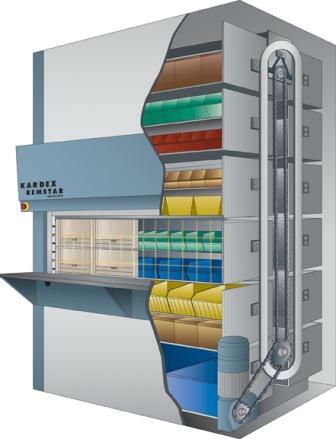 Vertical Carousel storage systems used for material handling and industrial inventory storage will increase productivity, save space, provide ergonomics, and enhance security. 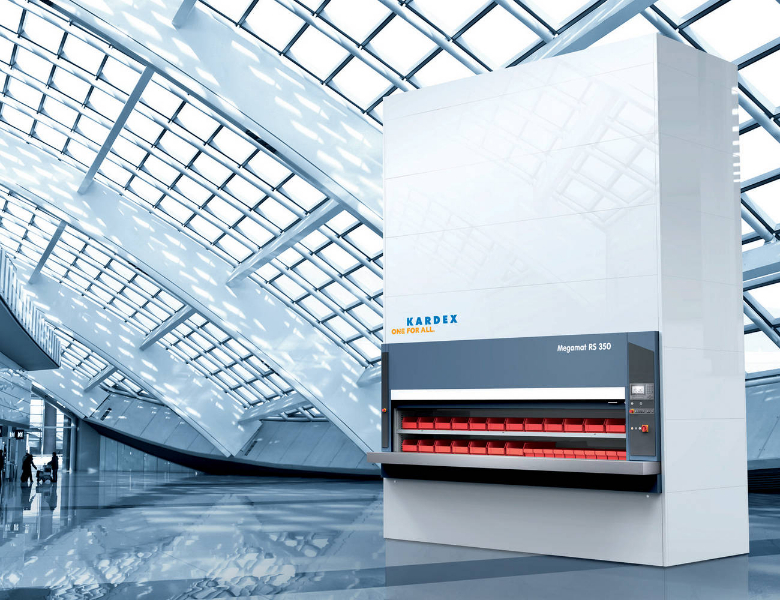 Increase Productivity: Vertical Carousel storage systems increase employee pick-rates due to automatically queuing orders, batch picks, and automated retrieval. 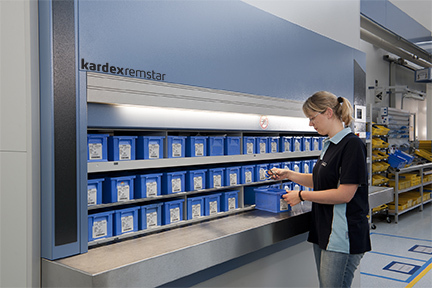 Because the carousel does all the work of finding and delivering the item to the employee, one worker can be as productive as three workers picking from static shelving. 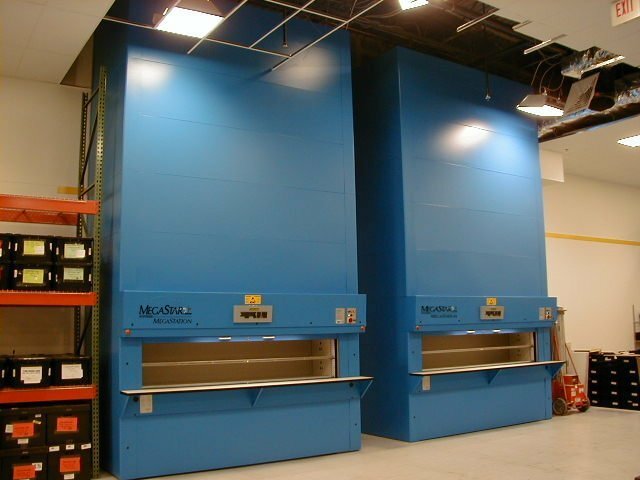 Save Space: By expanding up and using vertical space, the Vertical Carousel is able to store more per cubic foot than other type of system. 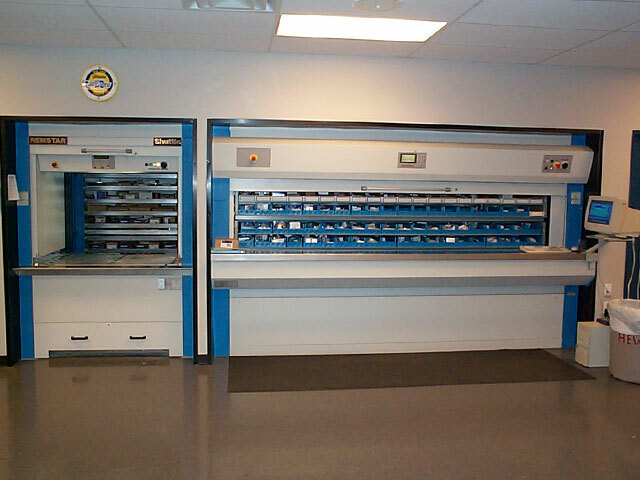 Taking the unused overhead space and converting it into usable storage space will increase your industrial inventory storage capacity in less floor space. 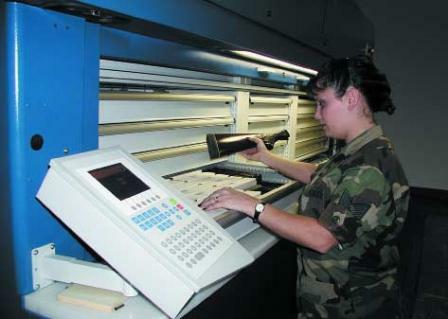 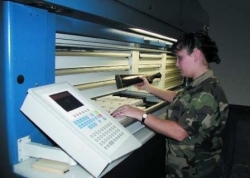 Provide Ergonomics: All Vertical Carousels have a waist high counter to provide ergonomics to employees. 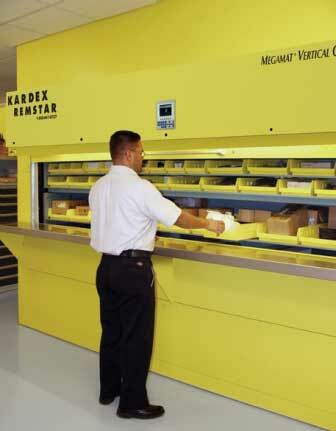 Also, the climbing, reaching, and bending that results from searching through multiple levels for parts and inventory is eliminated because the Vertical Carousel delivers all items to the employee at the counter. 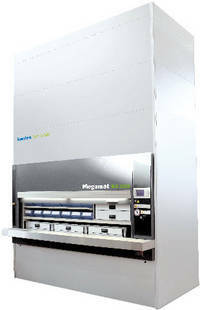 This storage system increases worker safety and satisfaction. 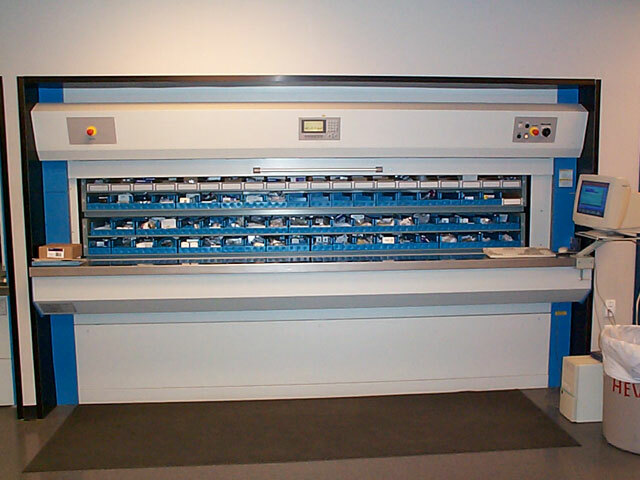 Enhance Security: Vertical Carousel storage systems present a level of security that static storage shelving just doesn’t have. 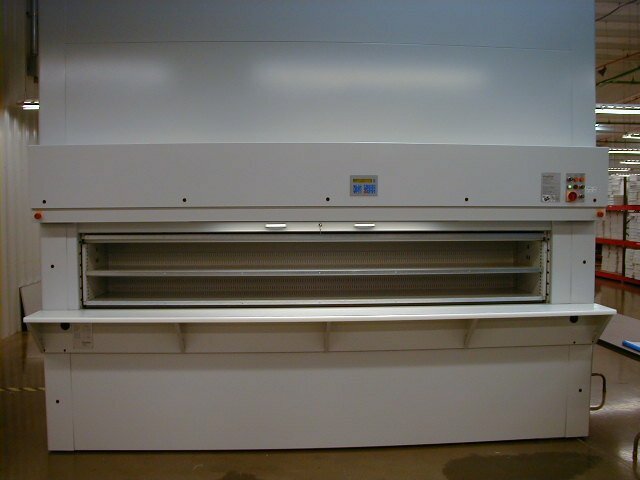 Unlike aisles of items stored in bins on open shelving, a Vertical Carousel is completely enclosed and can be locked up. 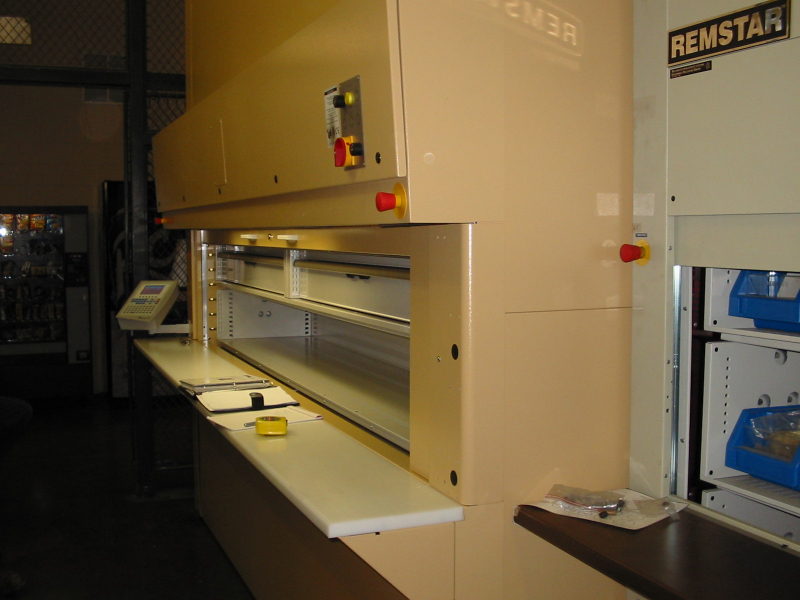 This not only secures industrial inventory items from particles and dust, it is safe from pilferage and theft.